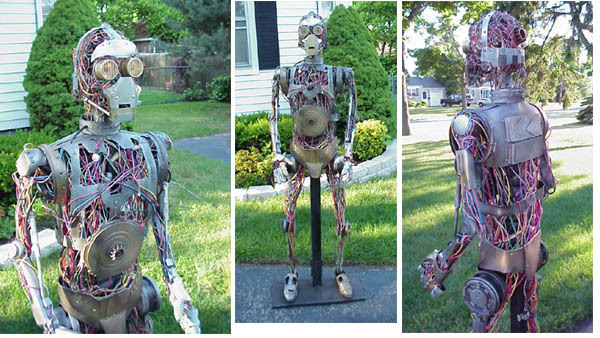 Episode I C-3PO: This is one of the most complex prop replicas I've ever seen. 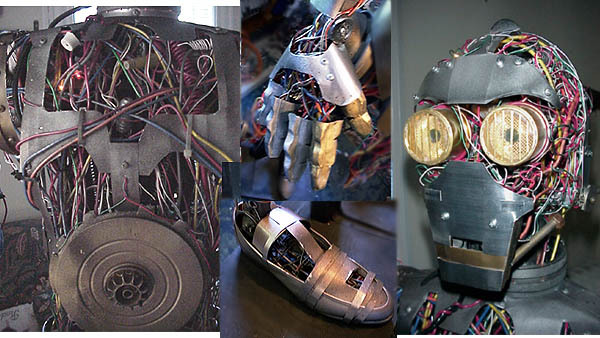 It is, of course, a representation of the partially-completed protocol droid, C-3PO, as seen in Episode I: The Phantom Menace. Here are some nice detail shots. Tom has outfitted this thing with many of the same details and moving components seen on the droid in the film. The lights in its eyes, for instance, turn on at the touch of a lever located in the area of the chest, much as they do for Anakin during one part of the movie. Some nice work, to be sure. And a lot of wire--a lot of wire.